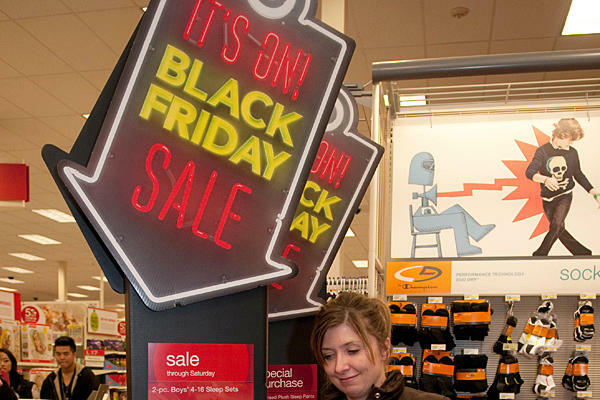 The National Retail Federation (NRF) speculates that this year, 140 million people will be shopping during Thanksgiving weekend. About 24% (33 million people) said they plan to shop on Thanksgiving day, 69% (97 million people) on Black Friday, 44% (61 million people) on Saturday, and 24% (34 million people) on Sunday. The overlap appears because many people plan to shop on multiple days. If you’re a retailer holding a sale or promotion during that weekend, we’re now 10 days away, so while you still have time, the clock is ticking. Here are a few tips to ensure you’re ready to conquer the crowds and hold a safe, successful sale. Neither one can do the job alone. You need extra security personnel working alongside crowd management equipment. The number of personnel and the kind and quantity of equipment depends on your location, hours of operation, and expected attendance. Use a PA system to communicate timely messages with shoppers and employees, and set up signage to direct customers toward entrances, exits, restrooms, and sale sections inside your store. How many people fit safely inside your store? What is the maximum capacity? Use that number as a benchmark when allowing shoppers to enter. Depending on turnout, you may have to restrict entry and limit the number of shoppers inside your store. To keep traffic flowing safely, make sure all employees and security personnel are aware of these numbers, and set up a system for cycling through entries and exits. If you have any questions at all about preparing for Black Friday and the sales surrounding the holiday, please do not hesitate to call one of our crowd engineers. They’re here Monday-Friday between 9-5pm EST to walk you through any questions you may have. Just call 1.888.404.7892.